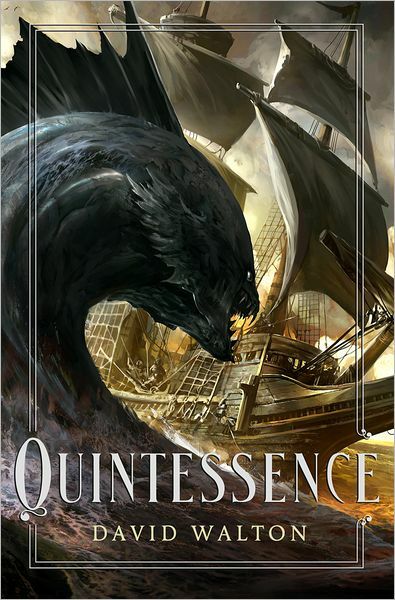 Quintessence is an Alternate History/Fantasy set 500 years ago in the Age of Exploration, full of arcane science, alchemy, human dissection, sea monsters, betrayal, torture, religious controversy, and magic. Scientists and explorers gamble with their lives to turn lead into gold and bring the dead back to life. In Europe, the magic is thin, but at the edge of the world, where the stars reach down close to the Earth, wonders abound. This drives the bravest among them to the alluring Western Ocean. An alchemist, Christopher Sinclair, who cares about only one thing: quintessence, a substance he believes will grant immortality and magical powers, has a ship. Fleeing an inquisition for illegal dissection, Stephen Parris, the king's physician, follows Sinclair to an island that perches on the edge of the world, bringing his daughter Catherine with him against his wife's furious protests. The island is teeming with fantastical animals whose secrets they explore, using extracted powders and tinctures to make bread from sand, turn salt water into fresh, and--just possibly--find the secret of immortality.